The last LHBL instalment of 2018 goes to the incredible Priyanka Chopra. Since winning the Miss World pageant in 2000, Chopra has become one of the highest paid celebrities in India. She has even graced the cover of Time Magazine as one of the most influential people in the world. On top of all that, she’s living my ten-year-old self’s dream of marrying Nick Jonas – but I’ll get over it eventually. Coming up to the big day, Priyanka Chopra had the most extra bridal shower ever. The bride-to-be jetted off to Amsterdam with her friends for the weekend. Everyone was wowed by the gorgeous Georges Chakra SS19 couture dress she wore during the celebrations. Chopra wore a white long-sleeved beaded cocktail dress with a feather duster (coat, not the cleaning product). If you loved the ensemble, you’re in luck. Get the look for less on Pretty Little Thing for €98. On the pricier side, but a stunning dress for any occasion, and it comes in size 6 to 28. 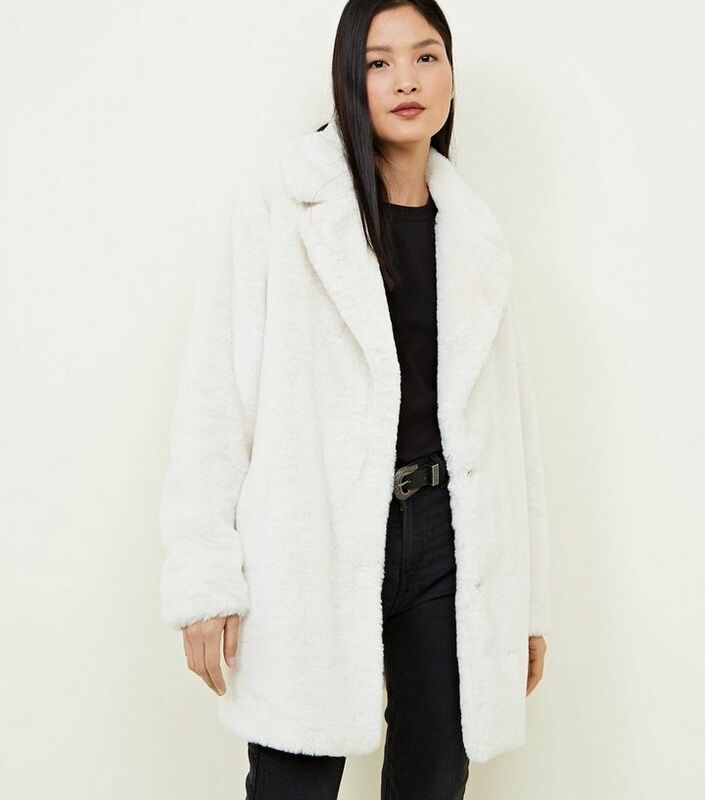 She added a white faux fur coat to finish the look off. 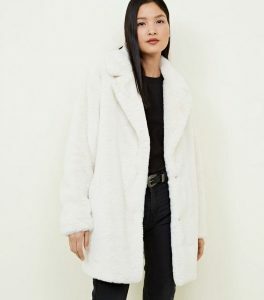 A similar white faux fur coat is available for just €49.99 from New Look. Going straight in my basket! It comes in a few colours in case the white is off – putting. Chopra’s makeup artist, Pati Dubroff, recently spilled the beans on how to achieve her stunning look. Dubroff ranks a good skincare routine as the most important part of any beauty routine. Without a good base, the products won’t apply properly. The MUA believes cream products trump powder, as it controls facial oils better. She recommends using the NARS Velvet Matte Foundation Stick (€39, Brown Thomas), especially for darker skin tones. NYX do their own version of foundation sticks (€15, Boots) and are much more affordable than NARS. Admittedly the shade range is shocking, but you pay for what you get. For bronzer Dubroff opts for Soleil Tan de Chanel (€40, Brown Thomas) another cream product, for the best results. W7 recently released a complete copycat product for €3.50. It’s worth a try but it seems a little too good to be true. Other options include the Clinique Chubby Stick that YouTuber Suzie Bonaldi from Hello October raves about (€23, Boots) or cheaper again, a mini cream contour kit by e.l.f. with four different shades (€9, Boots). A bold eyeshadow goes with a bold lip, according to Dubroff. “If anyone’s face can handle colour, it’s Priyanka. She definitely likes to play when it comes to her makeup,” she continued. Chopra’s classic look is a metallic eyeshadow paired with a deep red lip. Rimmel lipsticks are super inexpensive and long – lasting. Try their Kate Moss lipstick in the shade ‘107’ (€7.49, Boots). I recommend NYX if you’re looking for a shimmering shadow to rival high-end brands (€7, Boots). The shades ‘Bedroom Eyes’ and ‘Sunset Daze’ stand out as typical Chopra shadows. After studying her 73 Questions video with Vogue, here are some final top tips on channelling your inner Chopra. Carry hot sauce in your handbag, the actress claims “you always need hot sauce.” Her favourite Taylor Swift song is ‘I Knew You Were Trouble’, now your favourite too. Chopra revealed if she wasn’t acting, she’d be an engineer at NASA. Good news for anyone studying engineering at NUI Galway, for anyone else it’s not too late to transfer courses. At the time Chopra had just binge – watched The Crown, add it to your Netflix list if you have yet to watch it. She brings a mandir shrine with her when travelling. Chopra explained to Vogue she prays every morning and will “light a little incense, ring the bell, just to ward off evil and start the day on a good, positive note.” Unfortunately, you can’t ward off 9am lectures. I’ve tried.